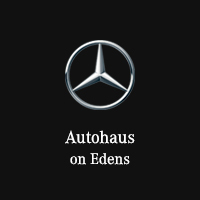 With a vast selection of new and used luxury sedans, coupes, convertibles, SUVs, and wagons, Autohaus on Edens in Northbrook, IL has the luxury vehicle that will fit perfectly into your daily drive or weekend adventures available to test-drive right now. Are you ready to get behind the wheel? Schedule a test drive of your favorite Mercedes-Benz model using our online scheduling form. Not sure which Mercedes-Benz luxury vehicle is right for you yet? Check out our comprehensive model research pages, and then give us a call at (847) 272-7900.